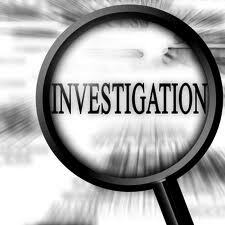 Is the Press Release issued by the Township the real reason the Private Investigator (PI) was hired? Were "certain" council members not privy to the hiring of the PI and did one Member of Council try to stop the investigation prior to it occurring? Did GallowayTwpNews.com expose a secret hiring? Why did Township Manager Arch Liston not tell Council at a Public Meeting he already hired a Special Assistant? GallowayTwpNews.com was the first media entity to discover and report the Township's hiring of a Private Investigator. Prior to that report, we released personnel actions forms of numerous employees the Township gave promotions to as well as hired. Of those employees hired was a former Galloway Township Police Officer who now has a business as a Private Detective called Investech. James Brennenstuhl who is the principal of his company, was hired by Township Manager Arch Liston on February 19, 2013. Brennenstuhl was hired to be the Special Assistant to the Township Manager. One of the things that did not make sense in this hiring, was GallowayTwpNews.com previously reported on March 11, 2013, that the Township advertised in the NJ League of Municipalities the same day an opening for a Management Assistant. Brennensthul was not only already employed by Galloway, but was already serving in that capacity as of February 23, 2013 according to his time sheets. We requested through an Open Public Records Request the Job Description for Brennenstuhl. Township Clerk TC Kay released the March advertisement as the Job Description. The inconsistencies in the Township's timeline of events caused us to investigate further as to why Galloway Township hired a PI. After GallowayTwpNews.com published our story indicating Brennenstuhl's hiring, we received several inquiries as to Brennenstuhl's past with the Township. Brennenstuhl is a former police officer for Galloway Township. It is alleged, Brennenstuhl retired after he was injured in a local bar fight while on duty for the Township. We requested Brennenstuhl's resignation letter, however because of the retention period, the documents were destroyed by the Township. In 2011, Brennenstuhl received a contract with the Township and approved by Council to perform "background investigations" for New Hires in the Police Department. We submitted an Open Public Records Request for a complete Vendor History on Brennenstuhl to include payments made to him, including the company Investech. According to Township Clerk TC Kay, no records existed for our request. It was alleged through a source that Brennenstuhl was also hired to conduct Internal Affair Investigations for the Police Department. Chief of Police Patrick Moran confirmed, "Mr. Brennenstuhl has offered those services (internal affairs) to our department; however, we have not used him for any investigations, nor do we have any immediate need to use him." Prior to Moran's statement, he contacted the Publisher of GallowayTwpNews.com on May 31, 2013 at 3:45pm in reference to a message we left with Township Manager Arch Liston. Moran indicated he was calling us since Liston was out of town and was in a bad area for cell phone service. However Liston still was able to make contact with Moran to let him know we called, through the bad cell service. Of course this is also after we published a statement indicating we would expose the content of our story and investigation unless the Township objected to same. In our conversation with Moran, he indicated he would try to contact Liston, via text. We further agreed to cooperate with the Township in not releasing our story until after Liston returned to work on Wednesday, June 5, 2013. On Saturday, June 1, 2013 at 11:20pm, we received a text message from Moran stating, "FYI, I made contact with the Manager and he knows to contact you when he gets back. Thank you for your consideration." GallowayTwpNews.com did not want to obstruct or hinder an investigation being conducted, therefore we offered mutual consideration. Liston never made contact as we requested, however, our "consideration" was rewarded when Liston issued a Press Release to all media outlets including GallowayTwpNews.com. The Press Release was to confirm the Township hired a Private Investigator as originally exposed by this Publisher. We visited Liston in his Township Office almost immediately after he released the Press Release. Liston, who could not look at this Publisher in the eye, refused to answer any questions unless they were reduced to writing, as stated in front of multiple Township employees, including Township Clerk TC Kay. According to Liston in the Press Release, "the Township Manager was advised by members of the fire companies that reporting may have been done differently and inconsistently by each company." That reporting according to Liston, created "statistical anomalies" to appear between each company. Liston states, "$130,000 is spent annually on the program." The program is funded by the taxpayers. Liston stated, "The Township Manager in lieu of hiring an auditing firm at over $100 an hour, brought in a former police officer, James Bruennenstuhl who is familiar with the community and the fire companies, to assist in the review at $25 an hour, with a maximum expense of $1,000." Liston further stated, "This was submitted and approved by the New Jersey Department of Community Affairs." We submitted an extensive list of extremely valid follow-up questions to Liston regarding his press release as he requested. Liston has not returned any of our request for comment. Of the questions we submitted to Liston was, "If the statistical anomalies are money allocation of which you stated the Township spends over $130,000 on, wouldn't the investigation be better suited by a licensed accountant instead of a Private Detective/Investigator which according to his resume, does not have accounting experience." The Township appoints each year a Municipal Auditor. We questioned Liston if the statistical anomalies were discovered through the audit process. Liston did not reply. It has been alleged by several firefighters we spoke with on the grounds of anonymity, that the statical anomalies in their opinion are consist with Liston's first part of the press release indicating "points for service." However, the points of service as alleged by these firefighters are not the duration of the years of service, it is the points or attendance granted per "service call." Another question we submitted to Liston was, "Is it true, that these statistical anomalies are more so an internal investigation into the conduct of individual(s) within the fire companies logging points for service on calls of which they never attended? If so, is there a targeted fire company located in Galloway Township? It appears Mr. Brennenstuhl is conducting surveillance, is that accurate?" Liston did not return our request for comment. We also requested comment from Township Fire Chief Tim McKenna, our request was also not returned. According to payroll records released by the Township which in our opinion, thwarted their attempt to remain confidential in the investigation, Brennenstuhl submitted two pages from his company called "Investech" showing "Statement of Account" that the Township labeled as his time sheets. Those time sheets clearly indicate the Township as a "Client" and "Investigate" all over them as his service. In essence in our opinion, at this point there was no way to hide an investigation was occurring. The time sheets also calculate mileage Brennenstuhl was traveling giving the appearance some sort of surveillance is being conducted. Our assumption is based on Brennenstuhl being hired as an "employee" and not contracted by the Township as an Investigator as they did in 2011. GallowayTwpNews.com spoke with members of council of which requested anonymity indicating the "Township Legal Counsel requested they (council) not comment to GallowayTwpNews.com Publisher." We questioned why the Township is restricting speech of Council members and one council member stated, "because of who the publisher is." We have provided same to our own legal counsel as to the Township's prejudice to this news organization. In our conversations with those council members, two of them were not aware of the Township hiring a Private Investigator for any reason. A main concern presented was socializing this Private Investigator with other employees to conduct an investigation without the knowledge of those employees or the Township's Union Representatives. Some employees are also members of the Township Fire Department, including the Chief of the Township's Fire Department. Our last question to the Township Manager of which he did not respond was, "Are you aware of any involvement by a certain Member of Council to "sweep" under the rug per se, the results of your investigation as it pertains to "issues" that may have or be discovered by this investigation." We posed the question as one member of council we spoke with alleged involvement of another member of council that may have tried to stop the investigation prior to it occurring. Liston stated the report would be presented to Council and made Public. We urge the Township to fully state the reasoning of the investigation and why the Township has so many of their own statistical anomalies in the hiring of Brennenstuhl. We also urge the Township Manager to explain to Council why Brennenstuhl was truly hired. Liston was asked at a Council Meeting by a member of the public, also reported by Galloway Patch, why the Township was spending money on a Special Assistant to the Township Manager. Liston stated at a public meeting that his own salary would be reduced because the help of the assistant. Liston indicated he would be working 5 days a week instead of the 4 days he was originally hired. Liston listed the reason as "organizational structuring" and didn't specify which needs he was referring. Liston never told Council in Public at that meeting he already hired someone, giving the impression not only to council but also to the Public, he was seeking applicants. We request Township Manager Arch Liston to be forthcoming in this situation and not leave everyone in dark as to his true intentions on this hiring. Nice work GTN! I think you missed your calling. You should have become the PI. Who is the Councilmember that tried to stop the investigation? This type of secrecy should not be done in government. My tax dollars are used for the Township to hire this Private Detective. We should know why he was hired when he was hired when everyone else was being forced lay off. Why didn't the Township use one of the guys they forced to retire in the PD last year. They are "familiar" with the Township. These seems like a ole boys club investigation that could have been hidden if GTN didn't expose it. The old publisher did the same type of investigation work. Glad to see it continues. I agree nice work by this website. Will this ever stop .one leave another takes his place .. Spoken like a true politician. Did Frank Gargione give you that statement Bill Ross? You can't take away the fact that taxpayers wouldn't have known about this hiring unless someone was digging into it. Wheres the Press and Galloway Patch? All I see is a standard Press Release with no explanation to it. At least this website gave us background as to why the release was issued to begin with. I think most importantly here, is why is the Chief texting the Publisher of this site at 11:00 at night? That text doesn't seem like an extreme emergency. Couldn't it wait until business hours? This info was given to the AC Press 6 to 10 weeks ago, yet they did not investigate or print what is going here. Good job GTN. Story well done, interesting. I would recommend the publisher' writing be proofed before publishing. I don't want to sound like a nit picker or come off as smarter than you but there are several examples I could cite that could have been fixed by a decent proof reader. Other than that this is very interesting, keep up the good work. Once again, this website gets to the bottom of things. I'm willing to bet they only provided you with enough information to "hope" you'd go away. Don't there's more to this story. Who's the investigator who is helping them prepare a defense for the law suit by the police officer? I'll bet there's more than one "investigtion" going on. When they hired him, it's easy to bury his activity, when they contracted him, they had to explain what the services he was providing to the township. There's still a lot of questions to answer. Keep up the great work. Don't let the negative people keep you down, they're helping cover their buddy's agenda's. Nothing more. By the way, how many full-time employees of the Township are also fire-fighters? LOSAP is a wonderful benefit, and those who earn it we in the community appreicate you. Those who take credit and don't should be prosecuted, if this investigations shows they purposefully misled the stats. I think Ross has some sort of personal axe to grind with this publisher. Maybe you should set your personal feelings aside and actually see the good work this website has done. We have not read anything like this on Patch or Press. I also think the information here is extremely credible, I mean heck, all documents are plain as can be. Not sure how else you can spell Investigate! Its a great job by GTN to investigate and force the Township to release the existence of the hiring. I agree now the Township needs to tell us taxpayers, why they tried to hide it against our own Fire Departments. Those guys and woman in the Fire Department are top notch just like some in the PD. They deserve to know they are being investigated. I agree with the last post. Our Fire Departments deserve better. If they are being investigated then they should have been told that. Why don't you run for council? Then maybe you really could clean up this town. I may write you in this November. Keep up the good work. Why didn't Council address this article tonight? They looked a mess on Tv tonight. They voted on things that they didn't even know what they were voting on.